Archive for Quiet Please Murder! 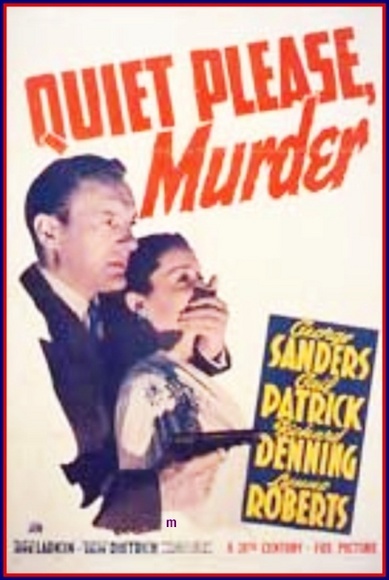 Image from QUIET, PLEASE: MURDER! (possibly the most heavily-punctuated title of any 1940s Hollywood film). Bosley Crowther’s review of the film questions why the village from HOW GREEN IS MY VALLEY is situated in the art room of a public library. 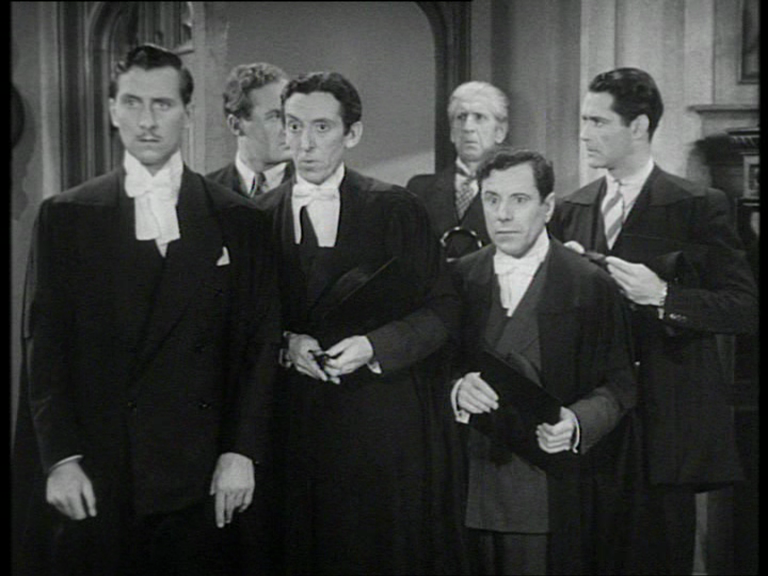 He suggests that the fact that both films were 20th Century Fox productions may have something to do with it. Thanks to Peter for pointing this one out. In other shots we can see more clearly the long slope of the town’s main street, which offers such striking perspectives in Ford’s film.